An often overlooked area of a home, a good driveway can work wonders for the appearance of a property. However, like all surfaces, driveways need care and maintenance to ensure they are looking their best at all times. They need comparatively less work than other surfaces, but they can fall victim to weeds, the unwanted visitors who make a driveway look unsightly and cause structural damage to the surface itself. 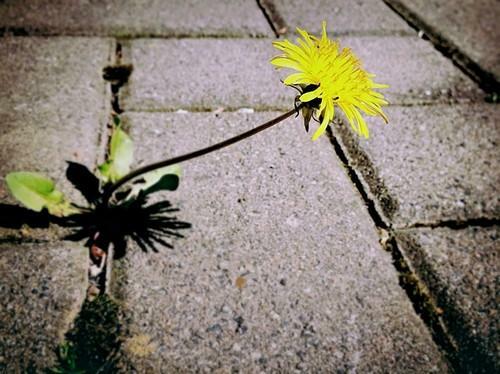 In this article, we are going to look at how you can go about preventing and removing these weeds from your drive, preserving its quality. On gravel driveways, it is important that you eliminate all traces of weeds before you start to lay the driveway. Opt for a strong weed killer that kills the root of the weed – glyphosate-based weed killers are the best for this purpose. Spray the driveway 3-4 weeks before laying the gravel, and check again for any regrowth a couple of days before you begin the process. Combine the water and salt at a ratio of 1kg of salt per 2 litres of water, adding the soap last to avoid the mixture foaming. Spray it all over the driveway and let it do the work. For larger driveways, using salt water might not be as effective, so consider using large backs of rock salt and spreading them directly into the surface. The more you use, the longer it will keep weeds at bay for. Keep your driveway clear of mud and dirt as much as possible. If there is a buildup of mud, then weeds will quickly take advantage of that and start to grow in it. Regular cleaning work will prevent these buildups and ensure that weeds don’t have a place to start growing. If you are in need of a new driveway or any type of surfacing work for your domestic or commercial property, then you need expert assistance to ensure it is completed to the highest possible level. That’s where UK Surfacings Ltd come in. With over 30 years of experience in the industry, we can provide our skills to customers throughout London and the surrounding areas. If you would like to know more, please get in touch with us today and we will be more than happy to help.